Got crab? 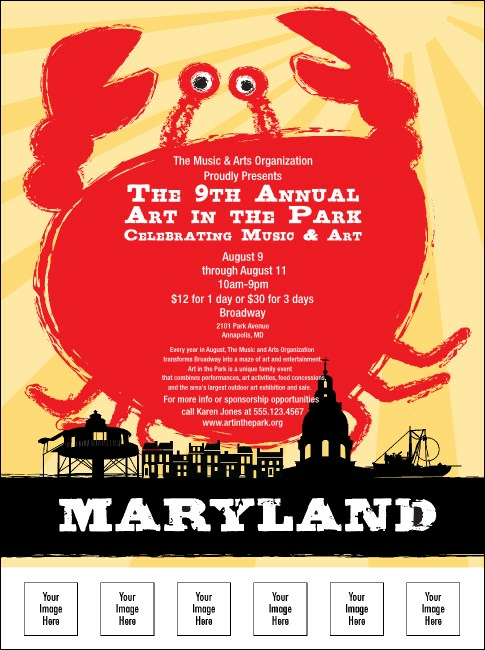 Our Maryland Flyer does, and plenty of it! For a tempting treat, choose this oceanic design with an image of the Baltimore skyline along with a naval ship and space for you to add your own custom image. Choose five logos, photos, or designs and upload from your hard drive to our ticket templates. Sink your teeth into the juicy design gallery at TicketPrinting.com.